Summary I started from joeynovak's work... I transformed it "heavy duty" version to fit on ANY 18 volts tool. 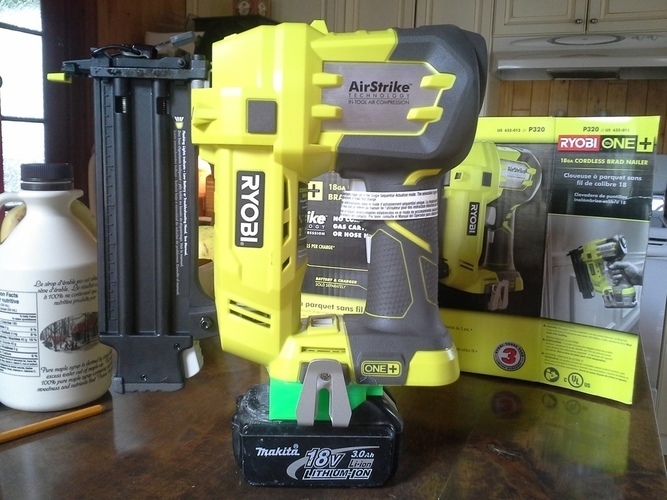 With this, you can turn any DeWalt, porter cable, ryobi, bosh, etc 18V tool to work with your makita batteries. 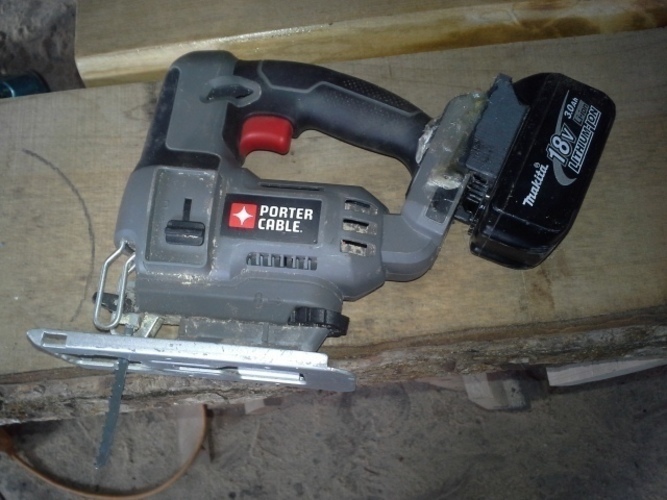 For myself I transformed a 34$ porter cable jig saw to work with my makita batteries... Makita jig saw is like 150$!! 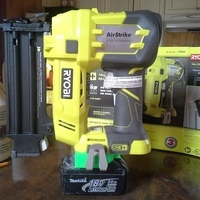 And more recently, a ryobi 18ga brad nailer: makita don't even sell any! Instructions I printed it with 100% filling. 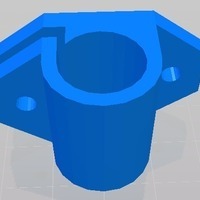 (ABS) -but for the second one (ryobi), I used 0,4 filling with pla and it is way solid enough- Important, you'll need support material, but, with newer versions of slic3r, it is impossible to remove... So I suggest to download slic3r 0.9.0, it works perfectly. Then I "painted" it with abs glue (plomber's glue) to make sure It is really solid. 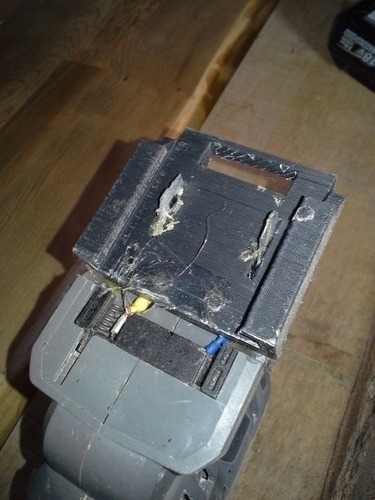 (don't need it with pla) I used metal strap to fit in the connectors. 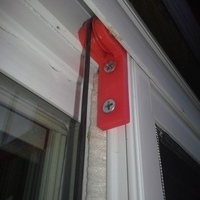 (strap with holes used by plumbers to fix pipes to ceilings) I used electrical wires to fit to the original electrical connections of the tool. Make try to make sure you are in the correct position before you glue! 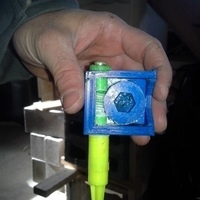 And I glued it to the tool using a hot glue gun which will give it some flexibility, like rubber. To prevent from breaking. I tried to screw it, but it did not really worked. Hope you'll like!